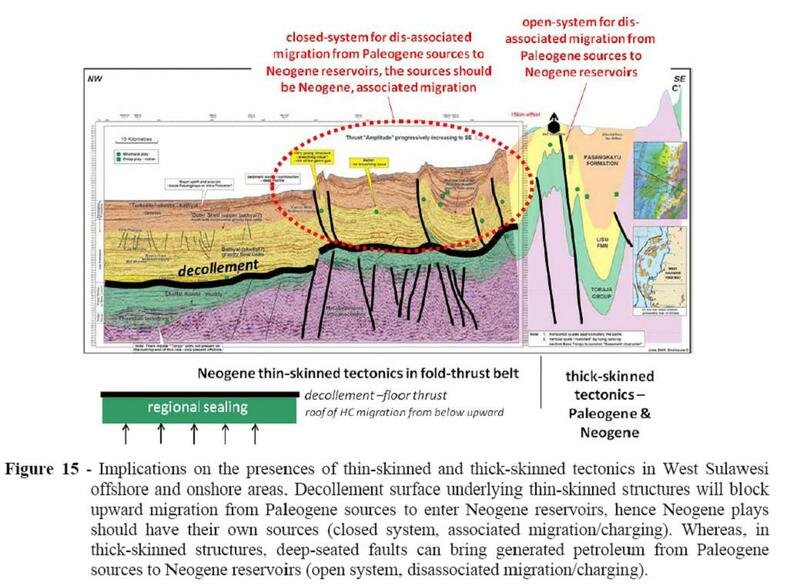 This is a review paper on the tectonics, stratigraphy and geochemistry of West Sulawesi Offshore, Indonesia. This paper is presented at the 36th IPA meeting. The increase of exploration activity in West Sulawesi Offshore has enhanced our understanding but, it cannot instantly build a thorough knowledge of the petroleum geology of the area. There have been surprising results, both positive and negative, that were unexpected when compared with the prognoses for the wells drilled recently. It therefore appears that assessing the risk of both plays and prospects in this area is still difficult. Tagged awang satyana, cipi armandita, exploration, geochemistry, Neogene, petroleum system, reservoir, source rock, stratigraphy, tectonics, tectonics of indonesia, thin-skinned structures.